Panel heaters are simple to install, maintain, run, as we covered in our first two articles. In this post, we look at the various options and add ons for panel heaters. Panel heaters are a very versatile and intelligent heat source. Panel heaters with frost thermostats are a popular purchase. 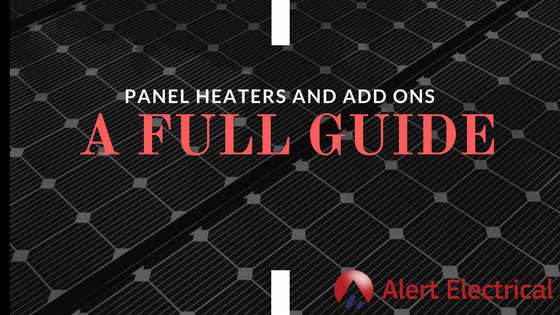 As well as offering a wide temperature range, many come with frost protection, meaning that when the ambient temperature drops to 5 degrees, the panel heater will activate to protect against cold weather. Often, just setting the dial to Minimum will activate the frost protection setting. These make them very cost-effective to run in rooms that aren’t constantly in use, but also where freezing temperatures are to be avoided - like home offices, garden offices, conservatories etc. 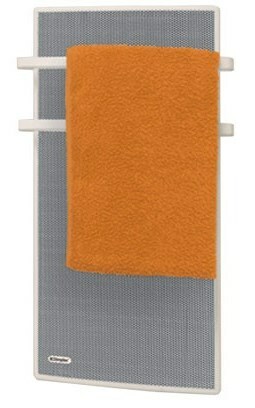 Panel heaters with towel rails are something we stock at Alert Electrical. They have the dual advantage of emitting radiant heat with fixed rails for towel drying and airing. These are programmable so that they can be used independently, or as part of a full house heating system. Splashproof and thermostatic with low energy consumption makes these panel heaters with towel rail a perfect choice for bathroom, shower room and wet room. 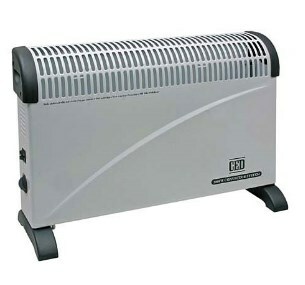 A panel heater with timer can be bought from Argos or Alert Electrical. Argos often stock heating products like panel heaters in their winter range whereas Alert always have stock, all year round, as we are electrical specialists. Wall mounted or panel heater with floor stand? That’s up to you. If you want flexibility in moving a panel heater to various rooms and adding to the heat source in winter to places like garden offices and conservatories, a portable panel heater with stand could give you that flexibility. All portable panel / convector heaters need is a stable floor surface and a nearby power socket. Some panel heaters have manual thermostatic dial control with no control over timings, but increasingly panel heaters come with intelligent thermostatic controls and individual or whole house digital timers. We stock many types of panel heater with digital timer. If you want your east facing conservatory warming up for the afternoon when the sun has left it, a panel heater with digital timer can be programmed to do this for you. Thermostatic control means no wasted energy either. It is probable that your work patterns and living habits vary over a week. A panel heater with 7 day control allows you to programme heating for individual weekdays and weekends to suit your lifestyles. No heating a room up if your sleep patterns differ at weekends. The panel heaters we stock at Alert have full UK compatibility, most having been manufactured in the UK, some in Germany with a very small minority imported from the far east..
You want to know too that twice a year your panel heater with timer UK can be easily adjusted for summer and winter daylight changes. 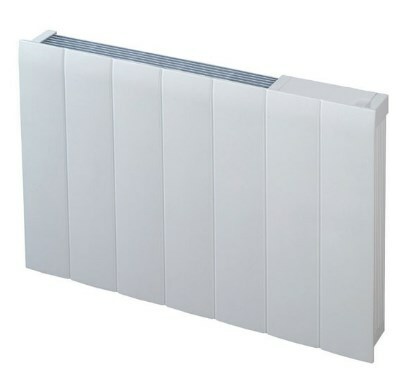 Panel heaters can be wall mounted or free standing. Panel heaters with plug are portable free standing and simply require a power source nearby for flexibility. They can be placed anywhere around the house, warm that cold room in winter, a bit extra for the conservatory. When not required they can be stored away. Portable panel heaters are light and easily lifted. Panel heaters are often intelligent in the information they give you. Panel heaters with digital thermostat will show you the current ambient temperature and allow you to easily adjust, upwards or down, at the press of a button. Panel heaters with feet are some of our best sellers at Alert. Their feet lift the heat away from the floor’s surface allowing cool air to be convected in at the bottom passed over heating elements before being pushed out of the top as hot air. When you receive your portable panel heater, if you cannot find the feet, look carefully in the polystyrene packaging. Worried that your outbuilding, home office, garden office, conservatory may dip to freezing on harsh winter days? We stock panel heaters with frost protection to give you peace of mind, whatever the weather throws at you. On holiday and the weather turns colder – No need to worry as the heater thermostat will turn the panel heater on when frost is in the air. We stock a wide range of panel heaters with timer and thermostat from leading brands. Perfect for quick boosts in holiday homes, lodges, conservatories, panel heaters with fan quickly heat up a space in a matter of minutes. Panel heaters have the ability to heat a room efficiently, a panel heater with fan has the ability to push the heater air, both further and quicker, than a standard panel heater. If you would like further free, impartial professional advice from Alert Electrical, please don’t hesitate to contact us.